Our mission is to take care of every single patient who walks into our office. We want you to be happy with the way you are treated and have your needs taken care of in the most compassionate way. "If you are looking for a dentist, I can definitely recommend this office." "Dr. Govindarajan and her staff is very nice and friendly." "Dr. Govindarajan was excellent in different aspects. I would definitely come back." "I highly recommend this business!" Rupa Govindarajan, DMD has a specialty in dentistry in Round Rock, Texas, and in the surrounding communities. She has nearly 13 years of experience in dentistry and has practiced in both Arizona and Texas. Rupa, or Dr. G as her patients call her, graduated from the University of Pittsburgh where she earned her Doctor of Medicine in Dentistry. She is a kind and caring dentist who treats each of her patients as though they are family. 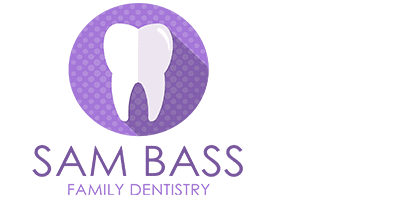 She is based out of the Sam Bass Family Dentistry in Round Rock, Texas. Her patients receive a full range of dental services. She is very qualified to care for infants, children, teens, and adults. Services focus on preventative care, general dentistry, cosmetic dentistry, restorations, and the diagnosis and care of periodontal disease. Dr. G offers a unique set of services. She is a dentist who takes the time to listen to you and works with you to form a dental care plan that is unique to you. Her goal is always that your oral health improves. The credit card for health, beauty, and wellness. Use your CareCredit healthcare credit card to pay for dental treatments that improve your mouth health like preventative check-ups, cleanings and root canals. We accept the following insurance providers and we accept all PPO plans. "The best dentist, personally and professionally. I have only great things to say about Dr G."
"My experience at Sam Bass Dentistry has always been a pleasant one. Dr. G is friendly, tries to get to know you, and very thorough and explanatory when she works." "Everyone who works here is friendly and helpful. I have and will continue to recommend this dentist office to everyone that I know!" "I loved the friendly, positive attitude of the staff @ Sam Bass Family Dentistry. They treated me very well, and I'm excited about my next visit! 5 stars!!!" "This is a private office and the staff and doctor were so kind. Made my son feel very comfortable. Great work done!" "This is a private office and the staff and doctor were so kind. Very personal and made me feel very comfortable." "Dr. Rupa and her staff are caring, organized and seem to be up to date with their equipment and methods. The office is very neat, clean and inviting to its' clients." "I had a great dental visit they made sure my toddler was entertained while getting my teeth cleaned. Very friendly office." "The Dr and staff were excellent! They did an excellent job on me and I will definitely use them for all my dental needs...thank you..!!" "Dr. G. is more focused on patient comfort than any dentist I've gone to." "Just what I was looking for: Confident and competent practice with no pretense. Communication of dental care was presented carefully and thoughtfully." "Excellent experience at Sam Bass Family Dentistry and I definitely recommend Sam Bass Family Dentistry to anyone looking for a Dentist." "The staff were courteous, understanding, helpful, smiling and it helped put my son at ease. They will continue to have our support..Keep up great work." "Everyone made me feel really comfortable and were very friendly." "Very pleasant and professional. Dr G and her staff are very nice and courteous. I highly recommend Sam Bass Family Dentistry." "Dr. Rupa and her staff are always friendly, and very informative! She does everything within her power to make my visit as pleasant as possible!!!" "Sam Bass Family Dentistry is by far the best I've been too. Nice and friendly. Dr G has the best tools of the trade money can buy. And her experience is exemplary."